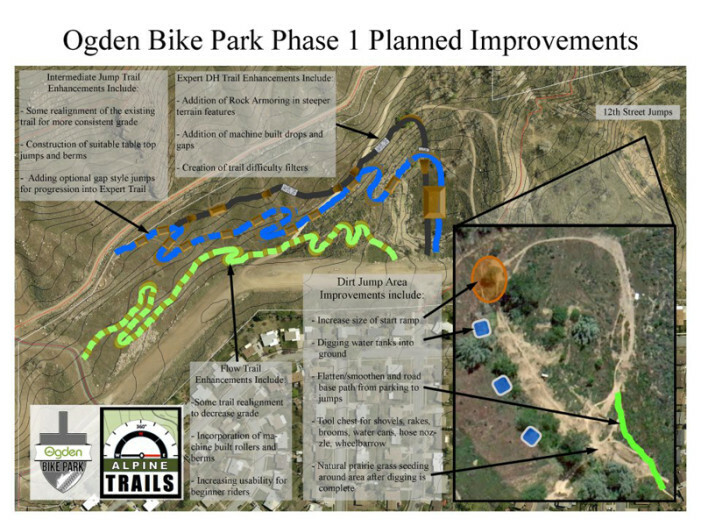 At long last, Ogden is finally getting a bike park. Jeremy Little and Josh Jones have been working for 2 years and have assembled a volunteer committee to raise the funds to build it. The new park will feature three one way trails from 9th Street to the 12th Street dirt jumps . There will be three options, all of which will have riders giggling.